With over 15 years of experience in New York’s State and Federal Courts, we know how the system operates and will work to get you the best results. We pride ourselves in providing individual and personalized services in a professional manner. Mr. D'Oro was very helpful and prompt with any questions I had. He charges a very reasonable fee and helped me avoid having a drug-related charge on my record. Would recommend to anyone living in NYC. I got into trouble this winter and was facing jail and probation. I hired Mr. D'Oro and he got the charges reduced and I only had to pay a fine. I hired Mr. D'Oro for a criminal case that was very complicated. He good me a great result and did it quickly. I would definitely recommend Mr. D'Oro. He is a great lawyer who helped advance my case and secure a good outcome. He is also affordable too. I would highly recommend his services. When I got arrested I was very worried and stressed out. I ended up hiring Mr. D'Oro and he calmed me down by explaining all the details of my situation and possible outcomes. He is very knowledgeable and always stayed in touch with me. He returned all of my calls and emails the same day. I ran into a some trouble with the law this winter in Brooklyn and I hired Mr. D'Oro because I wanted a private lawyer instead of a public defender. Mr. D'Oro called me back right away and we met and he answered all my questions. My case was just resolved in a favorable manner and I am very happy. I also appreciate that he charged a very fair legal fee. Mr. D'Oro is the best attorney I've come in contact with. He is extremely professional but he treated my contract negotiations as if they were his own. I felt confident with his approach and his knowledge of the laws. I am very happy I hired him and I've already recommend him to my family and friends. Attilio D'oro handled my real estate problem with the utmost knowledge and care. He is very motivated to see a good result for his client. I recommend him highly. I have some legal issues and need help , Mr D'Oro was very helpful and honest. I would highly recommend him to anyone who needs a great lawyer. I have worked with Mr. D'Oro on several occasion. He is an knowledgeable, diligent and enthusiastic attorney. He has consistently exhibited the utmost professionalism and has gotten the most favorable outcomes for his clients. Made my problems his, and solved them. I hired Attilio to negotiate a settlement in a judgement for me. He helped me settle for a much more reasonable amount, and took care of everything, making my problems his and solving them. Found fees to be very reasonable for the level of service. Very satisfied and would hire again. I endorsed MR.D'oro for a case and the results were excellent . He maintained in contact with me threw email text messages or phone calls. He was very professional and always on time. He was able to gain excellent results and also charged me a reasonable price. I will recommend this lawyer to friends and peers. I would like to take a moment to thank Attilio D'Oro. Mr. D'Oro helped me greatly , I was in the middle of a messy case with an old employer. At the first court appearance we all ready had an acceptable disposition that I was ecstatic about and a felony charge was reduced to a misdemeanor and later to a violation. Mr. D'Oro talked me through the whole court process and kept me updated with new information the moment it came about. Before each court appearance I received a reminder text and he was always on time. As long as we were both there I was seen and let go within 30-40 minutes. He charges a fair price and works hard and knows the laws. Thank you so much for all your hard work and efforts. I recommend him!!! A lifelong friend got into some trouble, and I was called upon yet again to bail him out. A work colleague recommended Mr. D'Oro, and I was very pleased with his professionalism and results. He clearly was respected within the courtroom environment, he explained the options to us, and he helped keep my friend out of jail. An extremely impressive job from this lawyer. I hired Attilio for a complex business transaction. He was able to resolve the key issues in quick and efficient manner. I was happy with the result and the legal fee was very reasonable. Mr. D'Oro helped me and got the case dismissed. I've known Mr. D'Oro a long time and I find him to be an attorney who note only is very knowledgeable of the law, but pays attention to his clients. A brilliant, trustworthy and highly respected attorney in the legal community. I wholeheartedly recommend Attilio D'Oro to anyone looking for an attorney who knows the law and truly cares about protecting the rights of his clients and getting them the most favorable result possible. 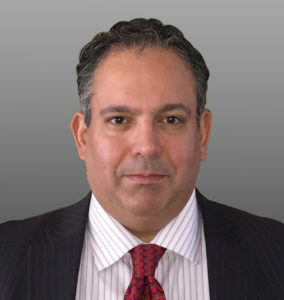 Attilio D'Oro aggressively pursues every angle of a case on behalf of his clients. He is thorough, detail-orientated, and works tirelessly to protect his clients rights. I highly recommend him. Attilio D'Oro is an outstanding attorney who I would not hesitate to recommend for representation on criminal defense law matters. He works hard for his clients, he is agressive in court, and provides a high level of professionalism and compassion. I would highly recommend him to anyone needing assistance. Attilio is an excellent attorney committed to providing the highest quality representation to clients. I endorse this attorney without reservation. I am happy to endorse Attilio A. D'Oro. He is respected by colleagues and dedicated to the criminal defense field and his clients. He is strategic, compassionate, and a relentless attorney who goes the extra mile for his clients. In addition to these qualities, I know that he can be trusted to handle the case to the best of his ability. I endorse this lawyer. Attorney D'Oro is an expert in Criminal Defense Law and a valuable contributor to the AVVO community. A highly capable attorney. I endorse this lawyer without reservation. I endorse this lawyer. Mr. D'Oro provides a much needed service on Avvo. He donates his time to individuals who are in need of immediate legal answers. Tino has worked side by side with me in preparation for a large criminal trial. Tino was indispensable in making inroads in voluminous discovery, and doing witness preparation. Thank you for the hard work. Tino has a razor sharp mind and is an extremely effective attorney. I highly endorse him.